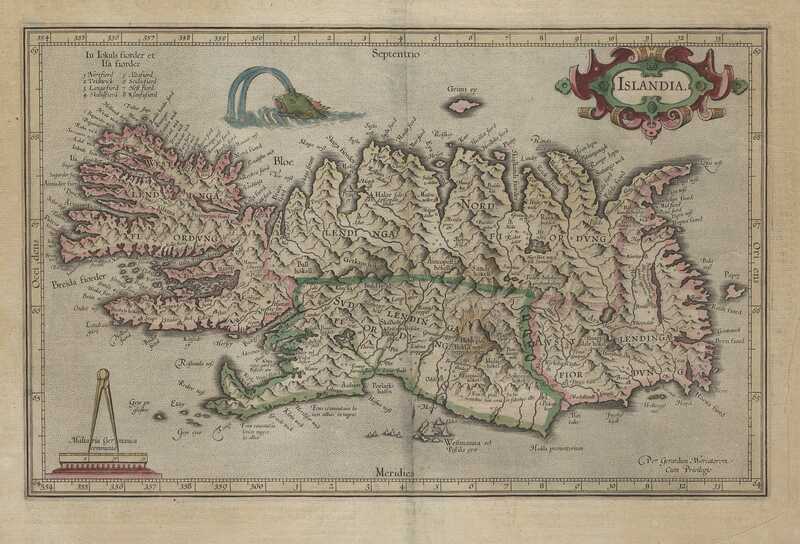 Gerhard Mercator was one of the most famous cartographers of his time. 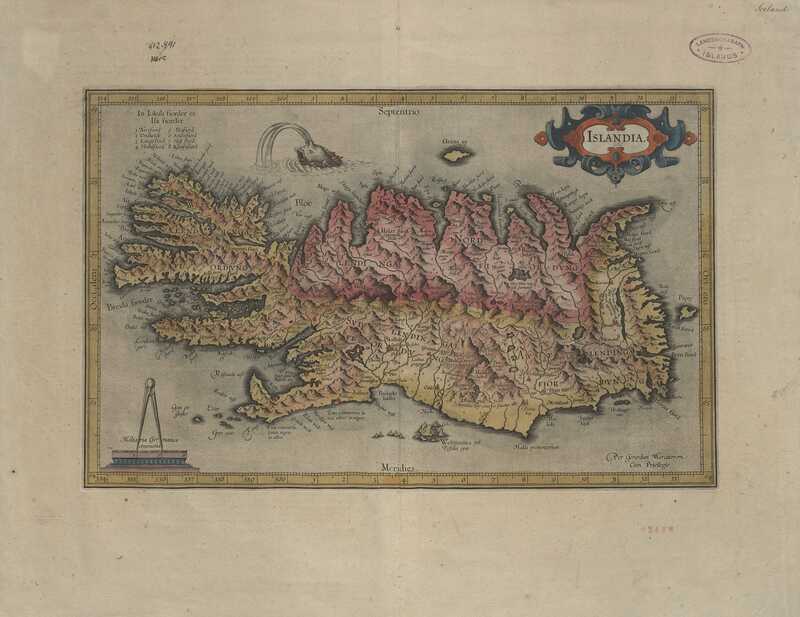 In 1595, or five years after Abraham Ortelius published his map of Iceland, there appeared the last edition of Mercator's Atlas produced by the author. 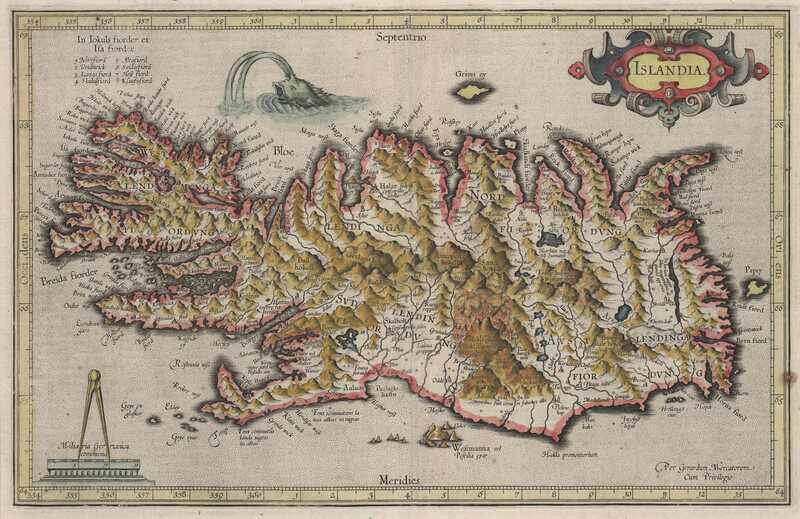 Amongst the new maps in this edition is a map of Iceland (Islandia). 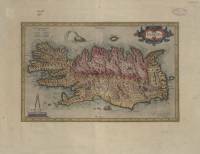 There is absolutely no doubt that this map is made from the same exemplar as the map by Ortelius, or one closely resembling it. 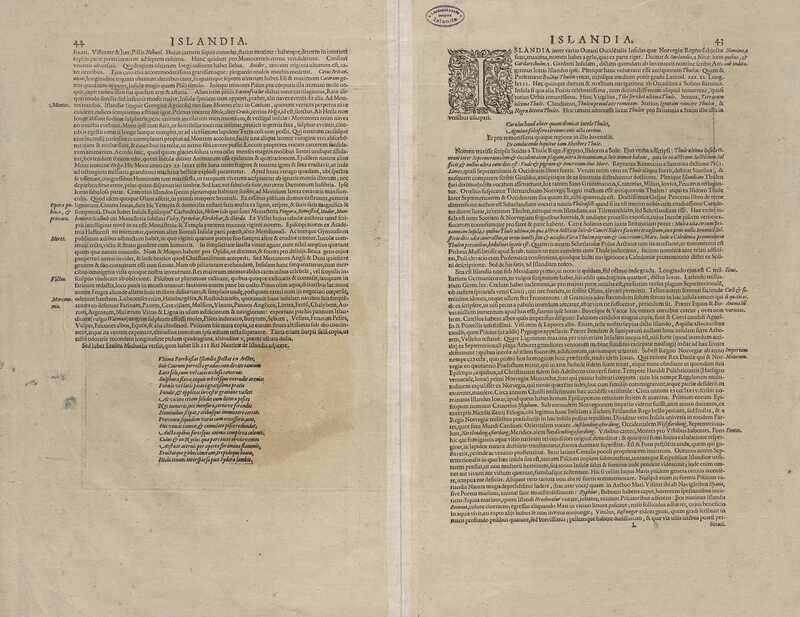 The correspondences between both versions seem all to point in the same direction, namely that the limitations derive to a considerable extent from bishop Gudbrandur's original. 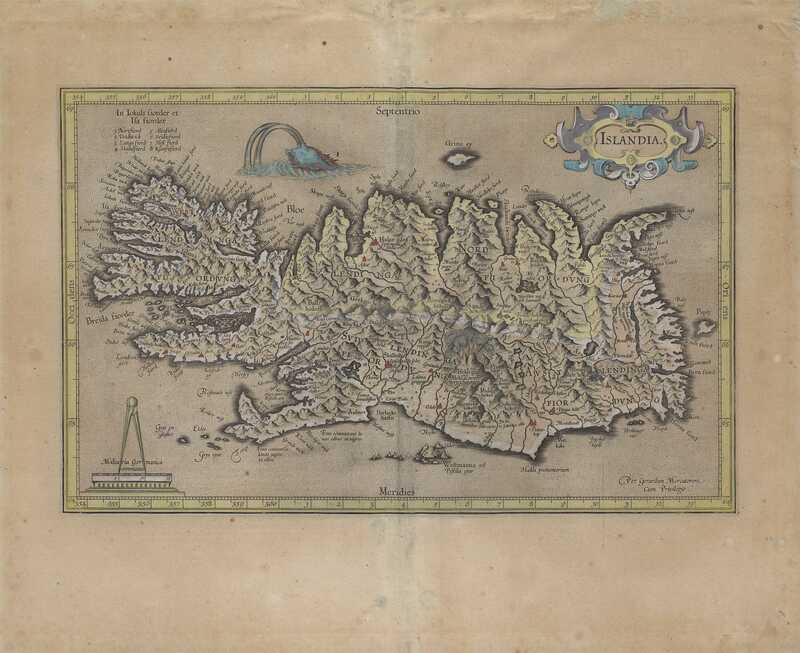 We have no means of knowing how bishop Gudbrandur's map came into the hands of Mercator. He and Ortelius had in fact been life-long friends, and there was probably some co-operation between them. 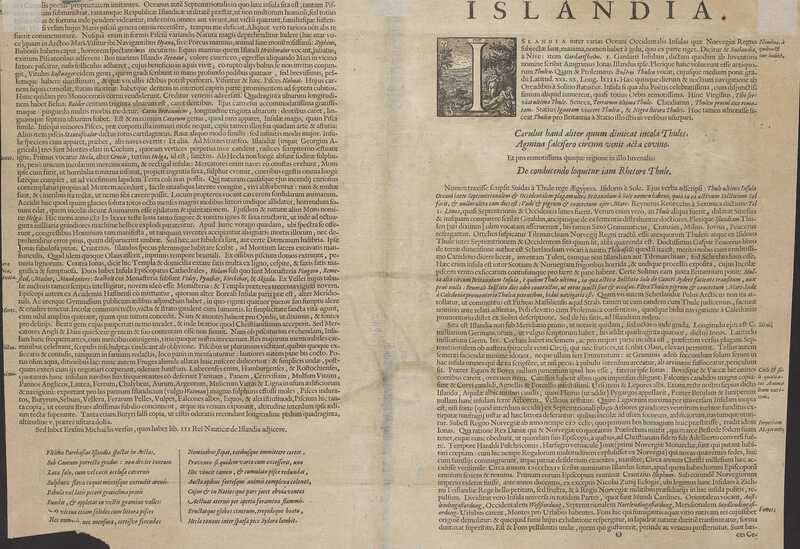 If they had both used the same exemplar, which Anders Sørensen Vedel sent to Ortelius, one would expect a closer correspondence than is the case. This suggests that Mercator obtained another version, slightly different. But who is most likely to have passed it on to him? This question cannot be answered with any certainty, but the most likely candidate seems to be Henrik Rantzau; an influential politician who was also a considerable scholar. 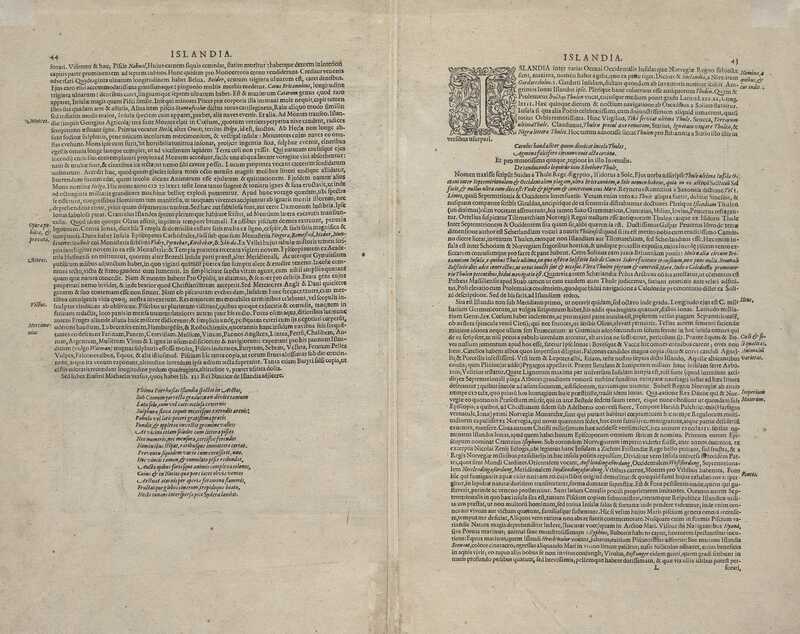 Five letters of Mercator to Rantzau are known, written in the years 1585-1589. 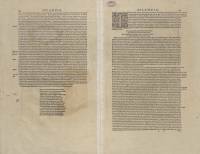 They indicate that Rantzau had been of assistance to Mercator in acquiring maps and other materials from Scandinavia. 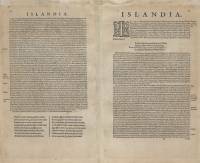 Iceland is not actually mentioned in these letters, but other letters may have passed between them than those we know of. The fact that Vedel and Rantzau were also acquainted and exchanged letters increases the likelihood that the map may have come by this means. 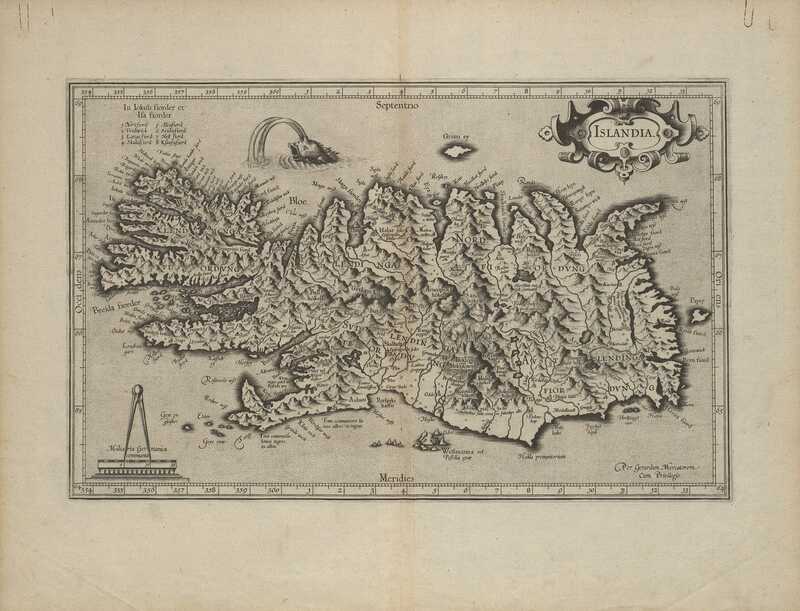 The figures of latitude and longitude of Iceland are not exactly the same on the maps of Ortelius and Mercator, and indeed they may have been lacking on the bishop's map. 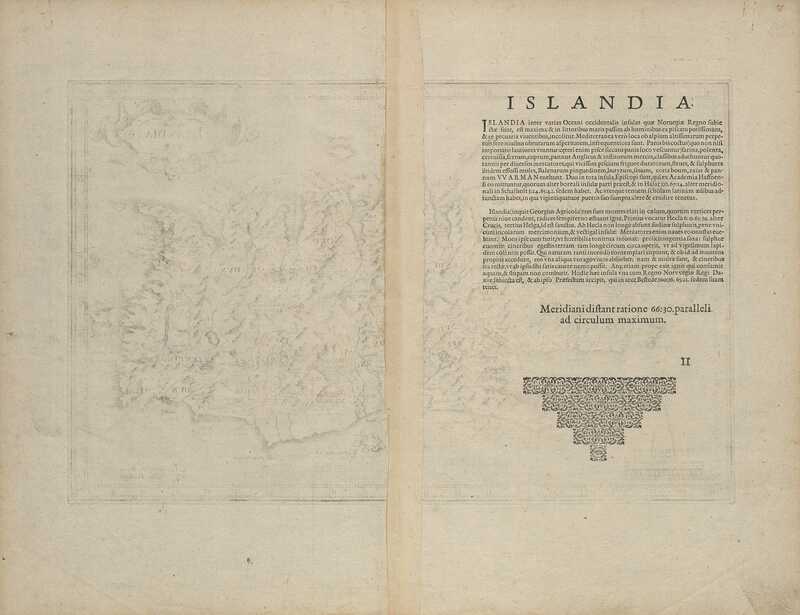 Mercator puts the country more to the north than Ortelius and thus increases the error. The width of the country is reduced and brought nearer to a reasonable size and in some respects Mercator's version is superior to Ortelius. The country is more compact and less lumpy, the fiords and headlands less obstrusive, and the rivers less enormous. The map is more reliable and simpler in its whole presentation, but not so decorative. This might suggest that it is closer to the bishop's original, which may perhaps have been drawn on simple lines as was his map of the countries bordering the North Atlantic, which is still preserved. The map has considerably more names, almost 300 in all. Some of them must certainly derive from the bishop, but others are of more doubtful nature and have no other function than to increase the total number. 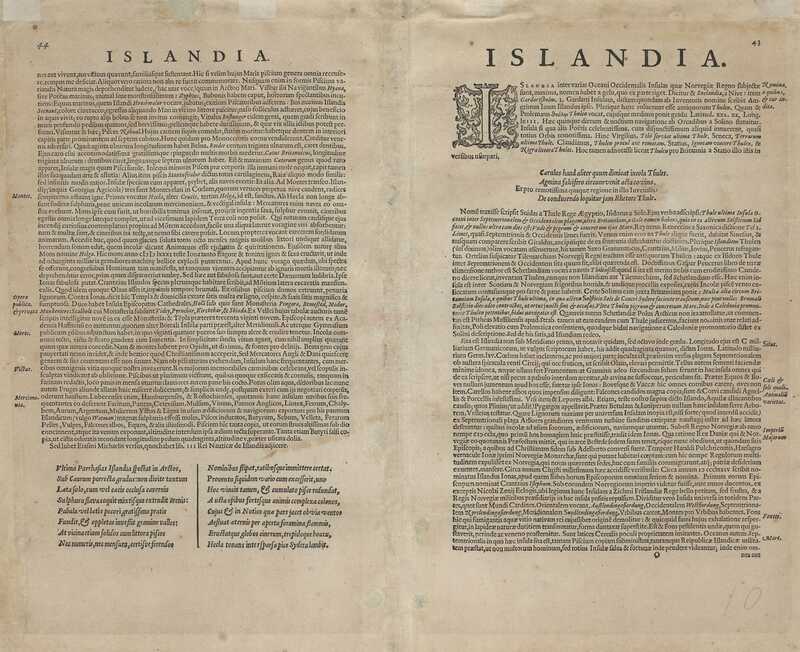 In such cases the method adopted is to put an abbreviation of a name alongside its more proper form: Hual alongside Hualfiord (Hvalfjördur); Siglu alongside Siglufiord (Siglufjördur). As far as place names are concerned Mercator seems to have departed further from the original than Ortelius. 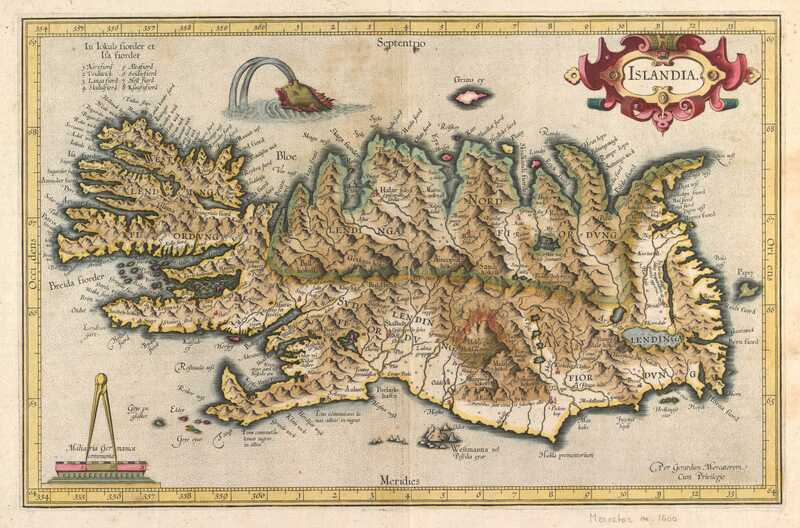 Ortelius has Finguollur for Thingvöllur but in the case of Mercator this becomes Bingnottr. 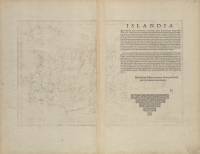 In both maps the country is more angular than the lie of the land justifies, and the coasts are drawn too straight. The main centres of settlement are correct on the whole, though in some places quite out of proportion. The highlands are in most places drawn at random as a rather narrow range of mountains between fiords and rivers. 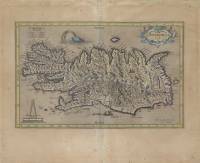 When it comes to the highlands further inland the map goes almost completely astray and for a long time afterwards this area of the country was largely unknown. Some of the main glaciers on the highlands are marked, but Vatnajökull, the largest glacier in Europe, is missing. The uninhabited regions are largely ignored. They are very much compressed, so that distances between the north and the south of the country are far to short. The course of rivers is very haphazard once the inhabited areas are left behind and the sources hidden somewhere in the interior. All the monsters except one are gone and the eruption in Hekla is not as great. 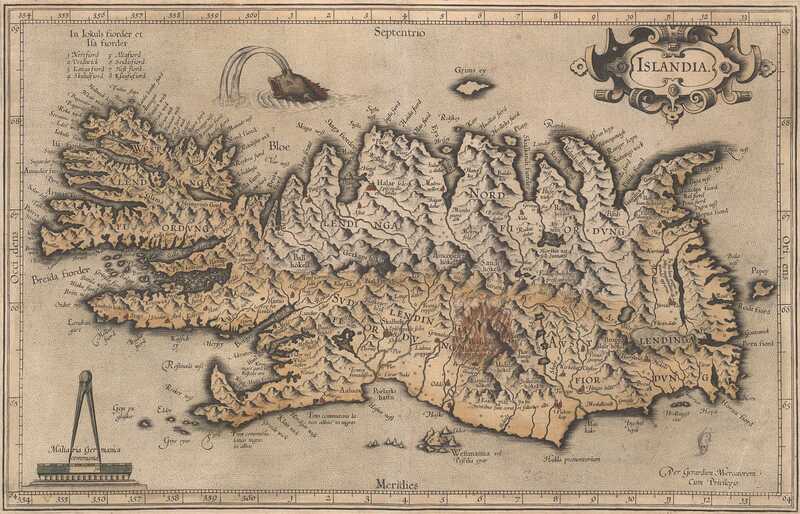 Mercator's map of Iceland came later than the map by Ortelius, and had less influence on maps made in the following years. 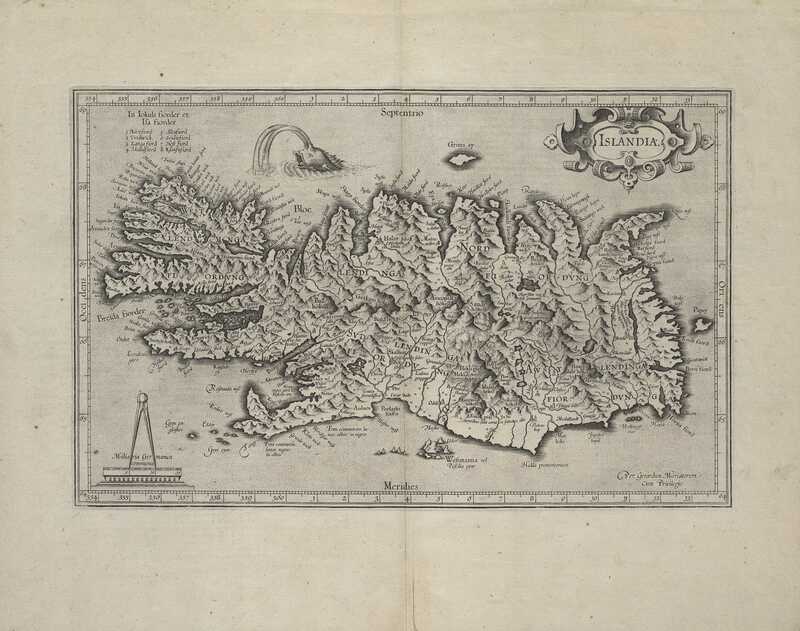 Jodocus Hondius bought the plates of the map from Mercator's heirs and began to publish it in the original version and also in a reduced form in a collection called Atlas minor. 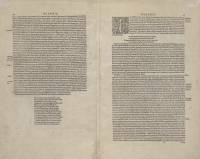 Now he, and later his widow and sons, sent one edition after another on to the market. 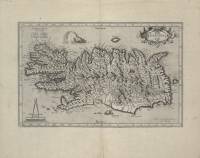 This continued until about 1630, when publication of Mercator's old maps ceased and new maps came in their place. 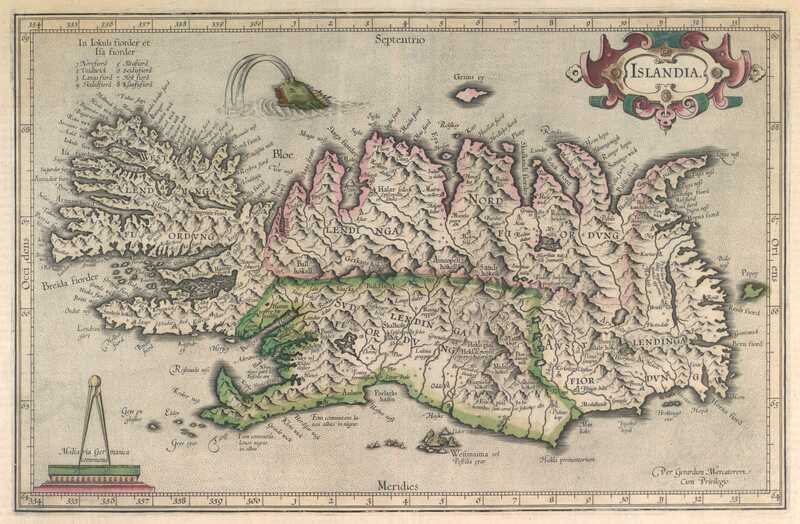 Atlas minor continued to come out until 1676.